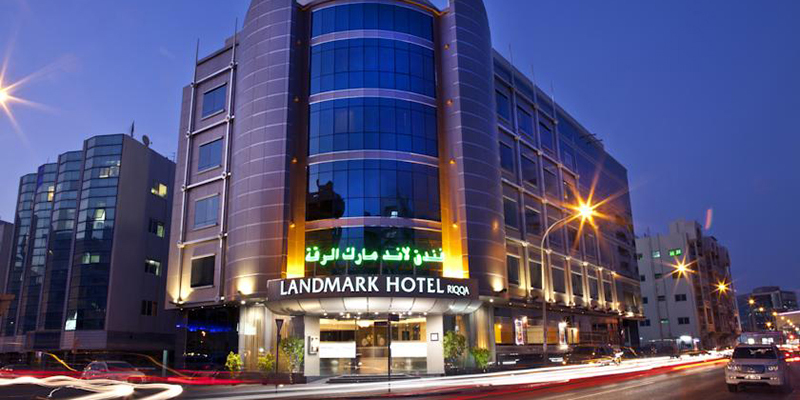 Modern, comfortable and ideally located, our Riqqa hotel is midway between the atmospheric souks of Al Ras – the heart of old Deira, Dubai, and the international airport. Just to the south lie the malls of Al Riqqa Road and the glistening waters of Dubai Creek beyond. 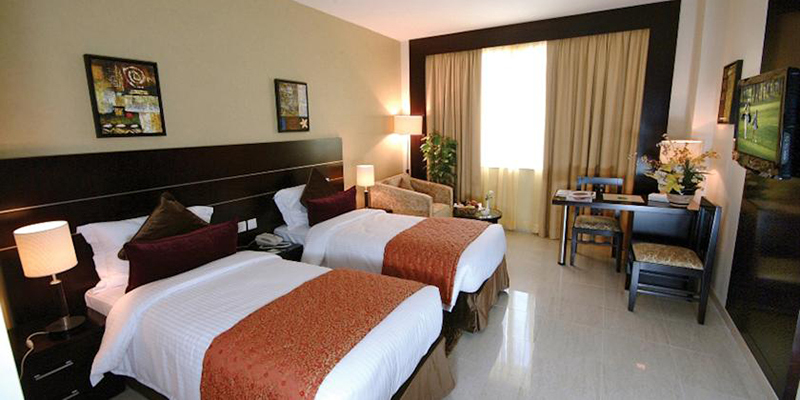 It couldn’t be more convenient for exploring at leisure, or as a base for business. 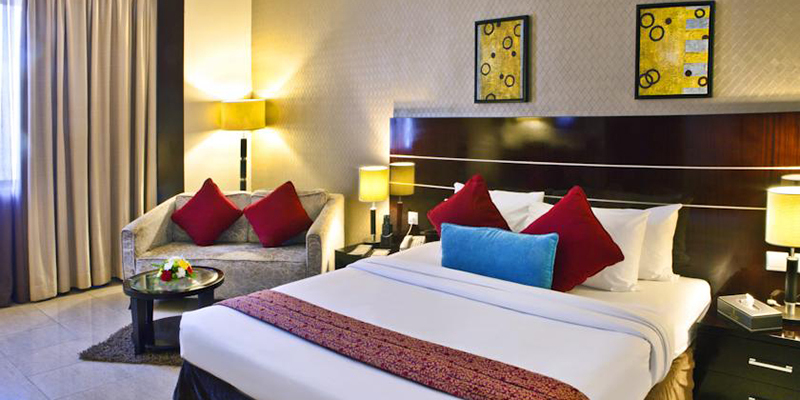 84 smart and spacious rooms and suites offer everything you need, including a deeply comfortable bed and a host of entertainment options on the flat screen LCD TV. 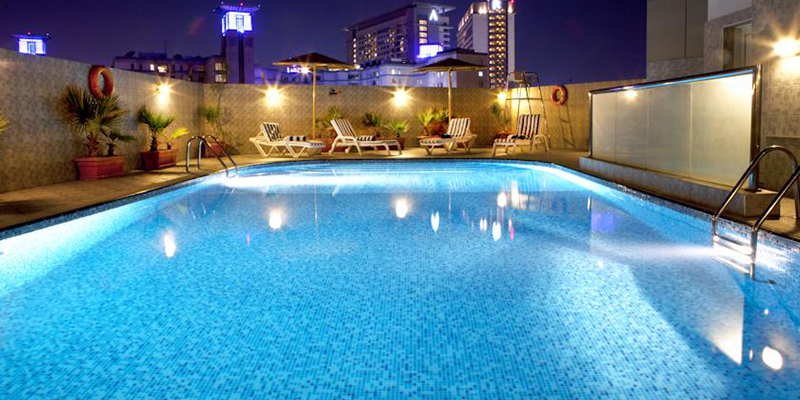 After a day’s exploring, you’ll appreciate a cooling dip in the rooftop swimming pool – or perhaps just a refreshing poolside drink. There’s a soothing health club and sauna here, too – a calming oasis in the heart of the city. Dining meanwhile is an all-day affair with everything from authentic Arabic specialities to à la carte international favourites. Brilliantly located, with exceptional facilities and exemplary service, it’s the very definition of affordable luxury in Dubai. Superbly equipped with comfortable beds, cool marble floors and complimentary Wi-Fi, and an array of extras in the suites - these are spaces you’ll love to come back to after a day’s exploring. The Palms restaurant features delectable modern international cuisine in a sophisticated yet relaxed setting. 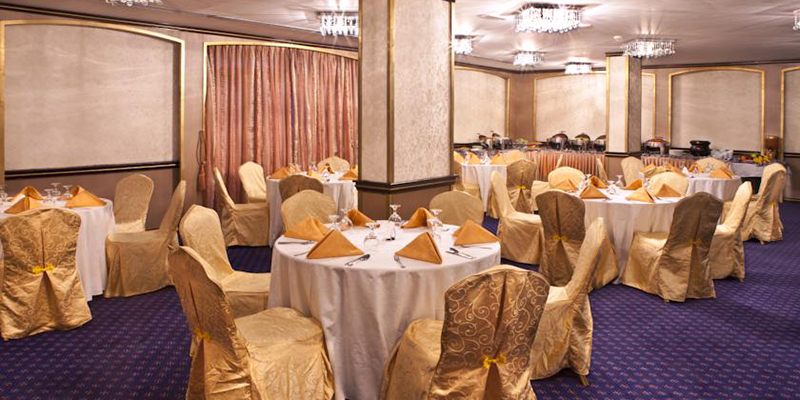 The restaurant serves breakfast and lunch buffet with a huge selection of dishes from across the globe.